We are excited to launch the newly designs Abbey Blinds and Curtains website. 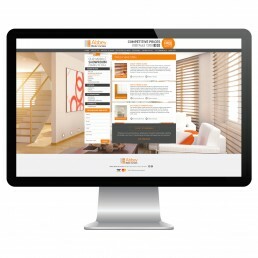 Abbey Blinds and Curtains needed a website redesign to suit the new mobile responsive formatting, plus showcase more promotional offers from Abbey Blinds. Once the website redesign was completed, CKY Media focused on the online marketing strategy to assist Abbey Blinds to be competitive in the blind and curtain market online.